WARNING NOTE: Companies advertising 'TMT' Rebars on this or other pages of this H&K website may not be using THERMEX System for production of rebars. Please check with us whether these Companies have been Licensed by us or are just cashing in on "THERMEX" name by appearing on this webpage. 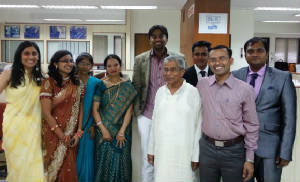 On 16.05.2013 H&K India commences its 29th Year of service to the nation. The 28th year was marked by a continuous stream of new orders for THERMEX Systems in spite of adverse market conditions. H&K India Chairman, R. K. Markan, was conferred a "Life Time Achievement Award" in December 2007 by The American Concrete Institute (India Chapter) for his contribution in spreading awareness and improving quality of rebars in the country. The citation named him as "a One Man Army with mission". 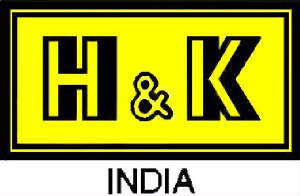 The new generation has taken over day-to-day work of H&K India since the past 2-3 years. 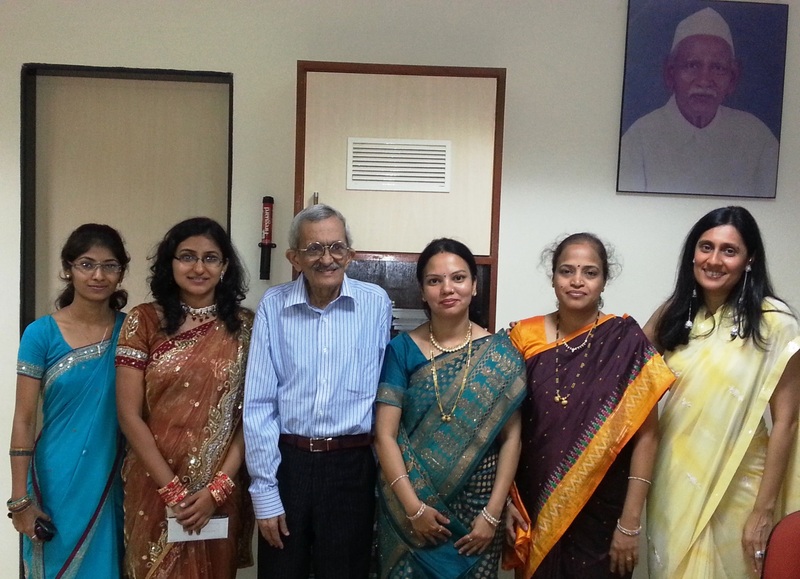 Ms. Radhika Markan was promoted to post of Managing Director w.e.f. 01 April 2012. We are overjoyed with introduction of the British Code BS: 4449-2005 effective from January 01, 2006. This Code has only ONE Yield Strength - 500. Further, it caters to the increasing demand for Grade 500 rebars with high ductility - Grade 500C (suffix 'C' indicates bars with high ductility) with uniform elongation of 7.5% and a stress ratio of 1.15 to 1.35. Exactly what we have been advocating (since past few years at all seminars) for the complete Indian Region on account of the Very High Seismic Hazard areas that exist here. Thermex QST rebars are now placed at a distinct advantage in the region. This in turn is reflected in the number of plants put into operation and the spurt of orders (average 15 to 20 per year) for THERMEX QST Systems placed on us over the past few years. It may also be informed that the exclusive 'THERMEX' area for H&K has been expanded by addition of Pakistan, Bhutan and Myanmar. We thus now truly cater to the entire Indian Region. And, BHUTAN now has 2 plants producing Thermex rebars. The 14 million tonne Thermex QST rebar capacity milestone in India was crossed in March 2013. And, 31 more remain to be commissioned in the Indian Region - due to start by Mid 2014 - adding another 2 million T ! 2005 has also been a great year for the country in as much as the quality of rebars used in civil construction has witnessed a demand for better rebars - befitting the seismic zones of the country. H&K India has directly benefited from this new found demand - a staggering 15-20 orders for THERMEX Systems in each year in the adverse market conditions that have existed since 2008. The start-up of Thermex in rolling mills has kept pace with receipt of orders -almost 10-15 per year in these years. H&K, now in its 3rd decade, has been instrumental in bringing about a marked change in the quality of rebars produced in the Indian Region. The first seminar on Thermex Technology was held in June 1984 at Duesseldorf, Germany for Indian visitors to the Metec Exhibition. Today, on account of the various papers presented at international seminars and articles published in leading magazines, there is a greater awareness amongst civil engineers in the country about the quality of rebars that need to be specified for civil construction and the use of correct technology for producing good quality 'Quenched & Self Tempered' (QST) as per popular international standards. THERMEX has now become the leading rebar brand in India with a market share of over 60%. To ensure consistent quality, a team of quality auditors inspect, every 3 months, the products made by each Licensee in the secondary sector. Such visits are undertaken without any prior information to the rolling mill. We believe that we are the only Company in India that undertakes this exercise on such a large scale - important in light of the global respect commanded by the THERMEX brand. We are pleased to give here the paper on "Steel Reinforcement for India" presented by R. K. Markan, Chairman & MD, H&K India at the International Seminar held in December 2004 at Mumbai by the India Chapter of American Concrete Institute. The THERMEX QUENCHING TECHNOLOGY belongs to Hennigsdorfer Stahl Engineering GmbH, Germany (HSE), the technical collaborators of H&K India. For marketing & supplying THERMEX technology and equipment in the Indian Region, HSE has assigned exclusive rights to H&K India. Mr. Franz TAMM, Managing Director of HSE Germany and the developer of Thermex is also a Director on the Board of H&K India. 05. Rathi Super Steel Ltd., Ghaziabad, U. P.
07. Rathi Steel & Power Ltd. (formerly Rathi Udyog), Ghaziabad, U.P. 18. Binjusaria Metal Box, Hyderabad, A. P.
20. Shree Parashnath Re-Rolling, Durgapur, W. B. 21. Shri Ramrupai Balaji, Durgapur, W. B. 22. Shyam Shree Steels, Durgapur, W. B. 23. Guardian Steels,Wada Thane, Mah. 24. Jai Jyotawali, Wada, Thane, Mah. 28. Ramsarup Utpadak, Kolkata, W. B. 30. Pratibha Ispat, (formerly C. Vijaykumar Steel), Khopoli, Mah. 31. Shri Mahalaxmi Vinimay, Jangalpur, W. B. 32. Durgapur Steel Plant, Durgapur, W.B. 33. Kalika Re-Rolls, Jalna, Mah. 35. Rathi Iron and Steel Industries, Indore, M. P.
36. Shree Om, Jalna, Mah. 37. Parvati Steel, Jalna, Mah. 38. Velagapudi Steel, Vishakapatnam, A. P.
42. Agarwal Foundries, Hyderabad, A. P.
43. Metro Alloys, Murbad, Mah. 47. Roopam Steel, Jalna, Mah. 49. Steel Exchange, Vishakapatnam, A. P.
55. Shri Bajarang Metallics & Power, Raipur, CG. 60. Bhuwalka Steel -2, Wada, Mah. 61. Ramsarup Utpadak -3, Kolkata, W.B. 63. Balaji TMT (Rayalseema), Gooty, A.P. 66. KhatuShyamji Rolling, Nanded, Mah. 69. Yugantar Power & Steel, Bilaspur, CG. 70. Shri Bajarang Metallics & Power -2, Raipur, CG. 74. Sarasvati Steel, Jalna, Mah. 76. Glade Steel, Hyderabad, A. P.
78. Concast Ispat, 24 Parganas, W. B. 79. Dilip Re-Rolling Pvt. Ltd., A. P.
80. Vinayak Steel, Shadnagar, A. P.
81. Shri RadhaKrishna, Hindupur A. P.
83. Vishnu Steel, Wada, Mah. 84. Bhagyalaxmi Rolling Mill, Jalna, Mah. 86. Binjusaria Ispat, Hyderabad, A. P.
88. Goyal Allied, Wada, Mah. 94. Sharda Shree Ispat, Nagpur, Mah. 96. Multi Steel Store, Wada, Mah. 101. Padmashree Hi-tech, Devarapali, A. P.
103. Kudus Steel, Wada, Mah. 104. AmbeMet Steel, Wada, Mah. 112. Sri Navdurga Billets Pvt. Ltd., Hyderabad, A. P.
113. Radha Smelters, Hyderabad, A. P.
115. Guardian Steels (2nd Order), Wada, Mah. 119. Tanmayi Ispat, Mahaboobnagar, A. P.
120. Salasaar Iron & Steel, Mahaboobnagar, A. P.
122. Jaideep Ispat & Alloys (Unit-II), Dhar, M.P. 124. 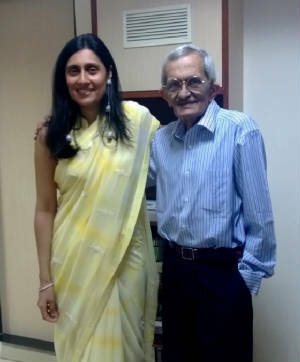 Vindyavasini Steel Corp., Wada, Mah. 127. Jai Jyotawali (2nd Order) Wada, Mah. 129. Shyam Ferrous, Hindupur, A. P.
131. Sun Metallics & Alloys, Wada, Mah. 132. Fortune Metallics, Raipur, Chattisgarh. 136. Purulia Metal Casting, Purulia, W. Bengal. 141. Mahalaxmi TMT, Warda, Mah. 146. Kamachi Sponge & Power, Chennai, T. N.
148. Rayalseema Ind., Mahaboobnagar, A.P. 149. Kesar Alloys & Metals, Dhar, M. P.
151. KC Ferro & Rerolling Mills, Wada, Mah. 152. Turbo Metals, Wada, Mah. Kalahasteeswara Steels, Chittoor, A. P.
2. Sanvijay Rolling & Engineering Ltd., Nagpur, Mah. 10. Cauvery Iron & Steel Ltd., Medak, A.P. 13. Srinivas Profiles & Textiles., Vizianagaram, A.P. 17. 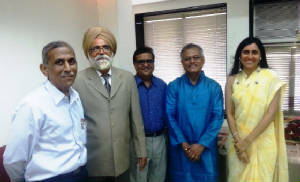 Topworth Utja & Metal, Nagpur, Mah. 21. Shree Bhimeshwari Ispat Pvt. Ltd., Satara, Mah. 22. Saptasringi Steel Rolling Mill Pvt. 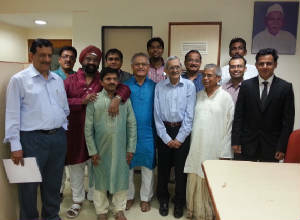 Ltd., Nasik, Mah. 23. Surya Ferrous Alloys Pvt. Ltd., Wada, Mah. 24. Shree Ambika Ispat, Ahmednagar, Mah. 28. Raipur Power And Steel Limited, Durg, C.G.